Confidence Martial Arts is conveniently located next to the Play it Again Sporting Goods store on S. College Rd, near the corner of 17th St Ext and S. College Rd. Please review the map below to see our exact location. 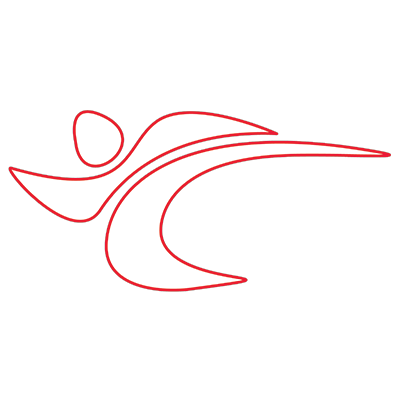 Martial arts training, especially taekwondo, karate, and kung fu type movements are taught at Wilmington’s ATA Martial Arts and is a wonderful way to instill discipline and confidence in children. Not only does the program teach kids the valuable lessons of self-control and the ability to defend themselves, it teaches many attributes necessary to a confident individual. Learning how to react to the world around them at an early age is a critical element for any student as he grows up. The ATA Martial Arts Academy here in Wilmington, NC has established programs that are specially designed for the younger set. Chief Master Leitzke has carefully designed these programs for younger family members – age appropriate programs that are specifically aimed at the physical development and mental capabilities of the younger kids in the family. Karate for Kids emphasizes such character development as perseverance, integrity, courtesy, self-esteem and the respect for and friendship with others that develops naturally within the group. Establishing and meeting goals in the context of a martial arts program carries over to many other activities and studies for young people. Dedication to completing an activity and meeting the goals is an important part of the programs at ATA Martial Arts. ATA Martial Arts teaches quality Taekwondo classes. The team of Martial Arts Instructors, under the supervision of Senior Master Leitzke, have created classes so that one can truly master the fine art of tae kwon do. They will demonstrate the ways in which martial arts and tae kwon do can be used as a way of self-defense, regardless of whether you are male or female. Adult classes are specifically designed for the adult body so that the class is beneficial for everyone in it. In an adult class at ATA Martial Arts, a taekwondo student will learn real life applications, as well as ways in which to de-stress from life’s challenges. Tae kwon do is a skill that will stick with you for life, allowing you to gain the self-confidence that is desired so that you can feel comfortable with confrontation in any situation. In addition to the regular traditional martial arts classes, Confidence Martial Arts offers ATA Combat Training a form of Krav Maga. Call 910-399-1950 to find out how Confidence Martial Arts, an ATA Martial Arts school, can help you use martial arts as a way of enhancing the body’s functions, including flexibility, strength, and endurance. It relieves stress while you meet new people. As an adult, you do not need to know tae kwon do specifics before you get into class. All of that will be taught once you enter the class.